We are in to the full swing of summer and it is slow time for many industries. But for travel, many people are just starting their adventure. This means a lot of families are spending money they don’t have. 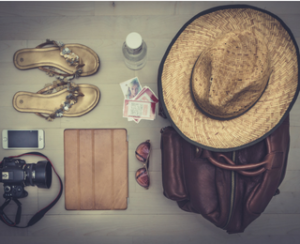 Here are a few steps to help you to have a great time while sticking to a vacation budget. It is impossible to stay on your vacation budget if you have not created one. If you have read some of my other blogs, you probably know that I actually do not like the word budget because it has a negative connotation. I use the term spending plan. Creating a spending plan gives you the same result, but it empowers you to feel like you are directing your money without the negative emotional drain associated with budgeting. Creating a spending plan for your vacation funds gives you permission to spend what you have planned without stressing about costs adding up every time you pull out your wallet. You should be relaxing with your toes on the sand or seeing the incredible sites you’ve traveled to enjoy and creating your vacation spending plan gives you peace of mind to enjoy these activities. Whether you are taking a staycation or traveling to an exotic destination, you have picked your place and determined your method of getting there. The adventure of traveling often comes from figuring out activities once you arrive. Rather than leaving everything up in the air, plan some of your activities ahead so you know what the expected cost is. If you are a museum or zoo enthusiast and your family has passes, look for programs that offer reciprocal benefits and plan your visit to those locations. If you know you want high adventure, check out social media savings sites for activities you can purchase at a discount and book ahead. A little bit of planning will go along way in stretching your vacation budget. Unless you’ve booked a place with a furnished kitchen, you are eating out for most of your meals while on vacation. It is easy to underestimate the cost of food, especially when your priority is enjoyment and convenience. Don’t forget about those midday snacks, which can easily add up for a family. Locate a store close to your lodging and stop there before checking in to pick up drinks and snacks that you will want to have throughout the day. Take a few minutes before you leave to research restaurants in the area you want to visit. You don’t need to plan the specific day and time for each restaurant- but create a short list of restaurants that are acceptable for dining enjoyment and for your vacation budget. This post has is about creating and sticking to your vacation budget. But that doesn’t mean plan for every dollar you will spend. Set aside a portion of your vacation budget for unplanned activities and expenses. If you have ever left proper shoes at home or experienced unexpected weather on vacation, you know those unplanned expenses will happen. If you have committed every dollar of your vacation budget without giving yourself wiggle room, you will end up stressed out and overspending. Set yourself up to be able to absorb as much of this as possible by accepting it will happen and having the funds available. Vacations are for having fun, experiencing new things and making amazing memories. Worrying about racking up debt before you even leave shouldn’t be part of your vacation itinerary. With a little planning ahead and intention, you can create an amazing vacation experience while sticking to your vacation budget.